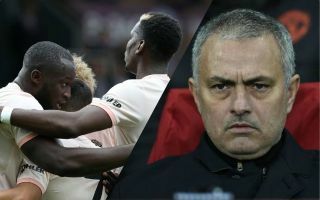 Ex-Man Utd midfielder Paul Ince has not held back in a scathing attack on Paul Pogba and Romelu Lukaku as the pair continue to disappoint. Lukaku has managed just five goals in 19 appearances so far this season, with his effort against Southampton last weekend his only goal in the Premier League since September. As for Pogba, he was dropped to the bench again in midweek against Arsenal, having previously also been benched against Young Boys in the Champions League, with his Belgian teammate joining him on the sidelines against the Gunners. In turn, Mourinho has opted to try different options while taking the pair out of the firing line hoping that they will rediscover their confidence and form, but as of yet, it hasn’t worked. As noted in his comments below, Ince is not impressed with either of them and hasn’t held back in his criticism of the underperforming duo. “I’m getting bored of them both,” he told Paddy Power. “He [Mourinho] did the right thing in dropping Pogba and Lukaku, they don’t seem remotely interested and they’re just not good enough. “Lukaku isn’t scoring goals at the moment. And when he isn’t scoring goals, what is he good for? Nothing. He brings nothing to the table. The statistics and form don’t lie, as the Man Utd pair have undoubtedly been bitterly disappointing so far this season and that has certainly contributed to the problems that the Red Devils have faced. As they continue to languish in eighth place in the Premier League table after 15 games, eight points adrift of the top four and 18 points behind league leaders Manchester City, it’s becoming a crisis for the giants. Whether it revolves around Pogba and Lukaku or not, Mourinho has to find a solution sooner rather than later, but the pair returning to top form would certainly help his cause.